It have been half year I didn’t get myself wet by sea water and the smell of the ocean. Feeling tired to sit in front of the computer and facing a list of never end tasks, today I picked a book on my desk which I have borrowed 3 months from school library – “Windsurfing”. It’s quite old honestly, but I feel the fun from the author across the time. I have exactly the same feeling as he wrote the first page. I can’t do the same, but definitely I’m running my mind away with him. During my everyday activities, I seemed to be trudging knee-deep in mind, the weight of work bearing implacably on my desk. At every turn there were forms to fill out, taxes to pay, yield signs to obey. Only in my mid-30s, I had to throw away a perfectly good belt and buy a longer one. How long this might have gone on I don’t know. I wasn’t thinking clearly enough to determine the cause of the problem. Then I got lucky. 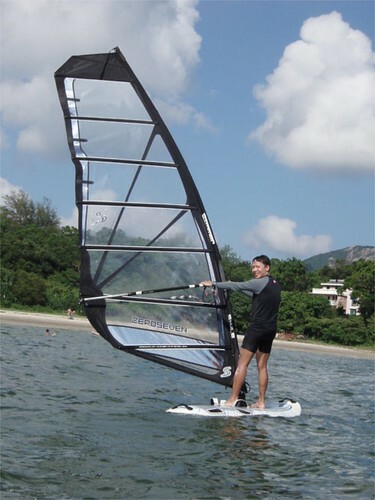 By chance, I got a contract to test some windsurfing equipment, which called for 3 weeks in the Caribbean, windsurfing everyday. It was therapeutic work, and the cure began the moment I stepped off the plane. A thick, tropical, trade ind blast took the first later of dust off my shoulders; the brine-laden air ventilated my brain like smelling salts. The sun was so bright I felt like one of those prisoners in Fidelio: walking outdoors slowly, haltingly, softly singing freedom, freedom, unsure what else to do or say. Friends, fortunately, knew what to do. 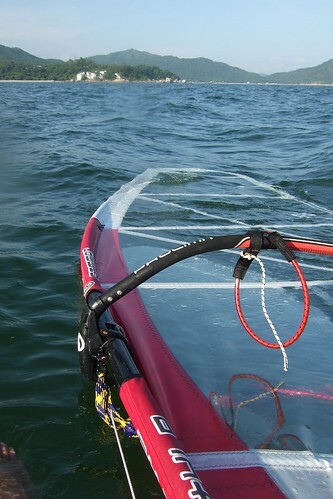 They led me to the edge of the sea and put my windsurfing gear in my hands. I, who had once windsurfed devoutly and then wandered to other ways, dipped my head back into the water, caught the wind with my sail, and was lifted from the water, born again. I progressed quickly. My Strength and flexibility returned and my sense of balance grew sharper. Day after day of skimming over aqua waters, windsurfing the swells, and jumpings waves slowly erased the decrepitude that begun to take over my body and mind. I slept easily for the first time in months and woke early in the mornings. My belt seemed longer. That was a few years ago. 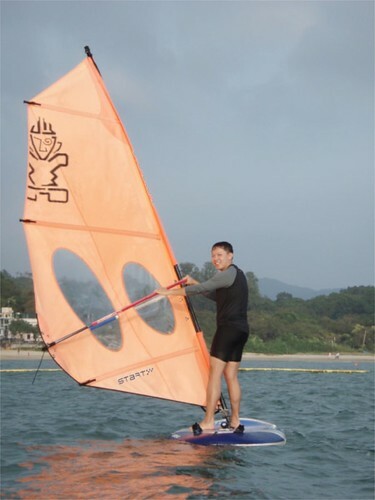 I still work, of course, but now I know when to stop working and go windsurfing – usually about 2 or 3 o’clock in the afternoon, when the wind kicks in. Windsurfing, originally uploaded by hochit.